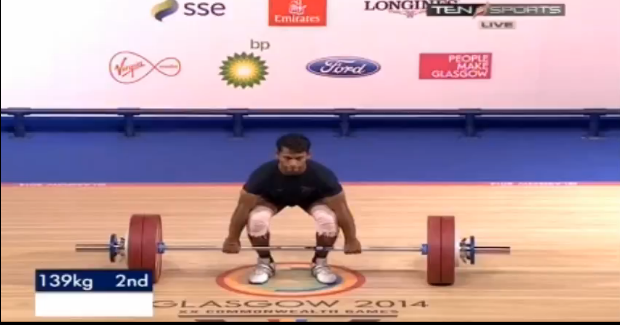 India had a very good day in the weightlifting. After the Gold and Silver in the Woman's competition, both of the Indian Male lifters also lifted medals, Gold and Bronze this time. In the halfway, two participating Indians are doing fairly well occupying 1st and 3rd positions. 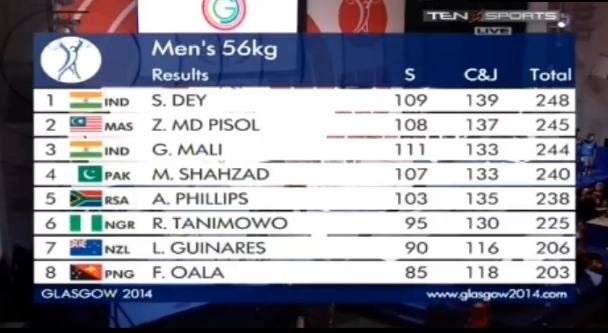 2nd is defending Malaysian champion and 5th is Pakistani weightlifter who failed in his 2nd and 3rd attempt. 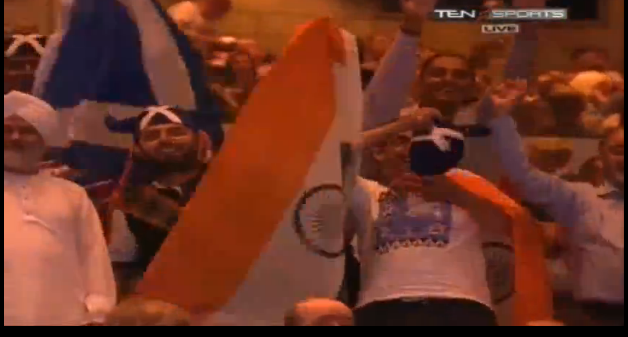 Lot of Indian support in the hall. 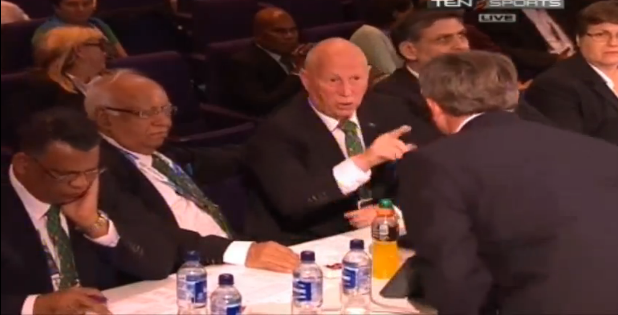 The second half is not going that good for India. Leader in the first half, Ganesh has failed the first two attempts in the second half, second being controversial. It was called clean at first but the Jury intervened and reversed the decision. But he finally made the third attempt successful and still leads the table. But all his attempts are finished and others are yet to lift. Mohd. Faisal from Malaysia is the defending champion. But he failed in all his three attempts in the second half and hence out of the medal race. Good news for India so far. 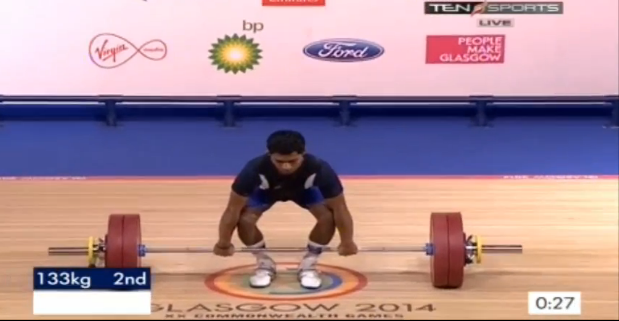 South African lifter suddenly comes into the game making a successful lift in the second attempt of the second half. 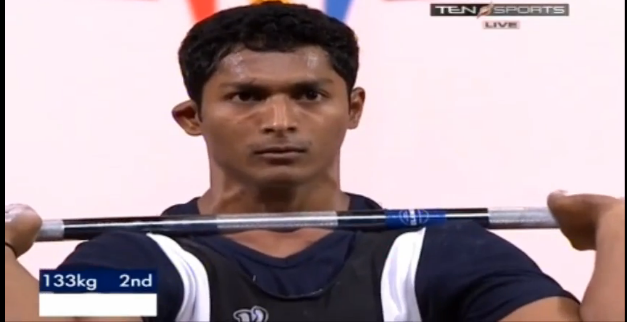 Sukhen Dey is leading the race with a wonderful lift in the first attempt. 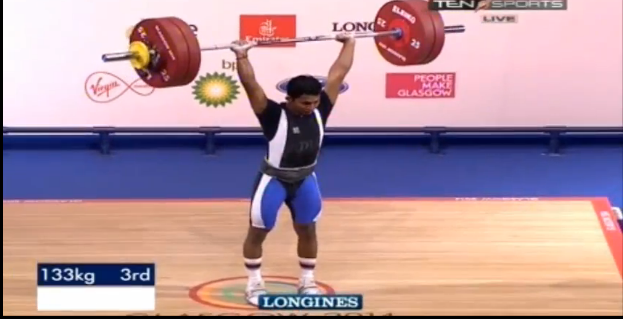 Sukhen Dey is definitely getting the gold here with second successful lift. Dey is going for the world record now. No he fails this attempt. He has to satisfy with the Gold. Nice post , I really like your information because it related to the gym. Please visit my blog for more information.